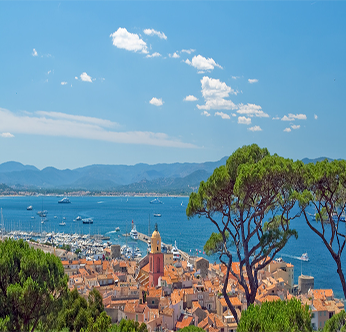 It’s equally inspiring, whether you experience the fleet on the water – the Golfe de Saint Tropez chockablock with gaff schooners, Marconi cutters, sloops, ketches, and yawls for the race start – or ashore, where up to fifty yachts moor Med-style, stern-to the quay in the old port. At night, the yachts are lined up varnished caprail to caprail, with spreader and deck lights illuminating the wooden spars that tower above — presenting an enchanting setting for those strolling the old port, and spilling out of the popular Hotel Sube’s and other adjoining restaurants and bars. 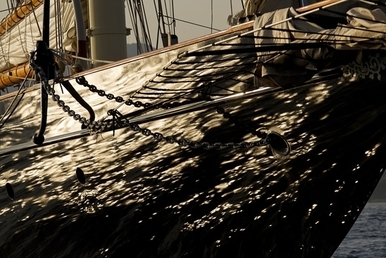 One need not be a yachting historian, but just have an appreciative eye for beauty and design to notice the myriad details on the yachts on the quay: the exquisite and highly polished bronze hardware, efficient ropework, and perfect brightwork. 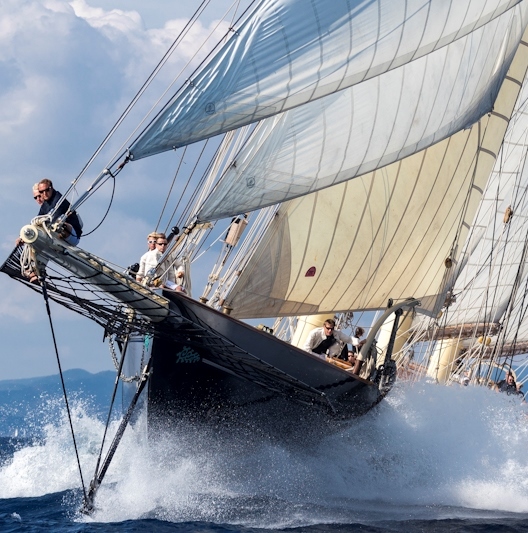 One of the most revered designers, whose boats grace St Tropez, is the Scotsman William Fife III (1857 – 1944), the third generation of a boatbuilding family. His first successful design was the Dragon class in the late 1800s, and by the turn of the century he had already designed the first of two America’s Cup challengers – Shamrock I & II – for the tea magnate, Sir Thomas Lipton. In the early 1900s, he turned his impeccable eye to metre boats, notably the 15m and 19m classes. Some Fife-designed yachts exist today though some sort of divine serendipity – certainly that played a part in the 115-year old Nan of Fife’s survival. 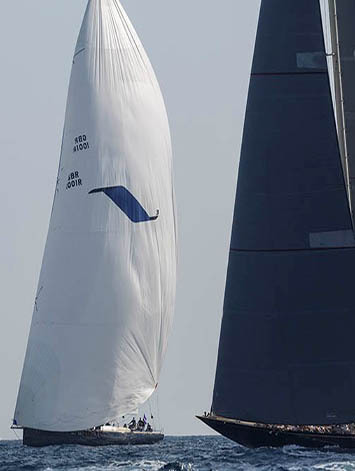 The Rolex Trophy is a competition within the Tradition division for all boats over 16 metres on deck. The winning boat receives the Rolex Trophy and a Rolex timepiece. First awarded in 2006, this year over 50 boats are eligible for the Trophy. The winner from 2010, Yves-Marie Morault on the 12 metre Ikra, is back to defend. 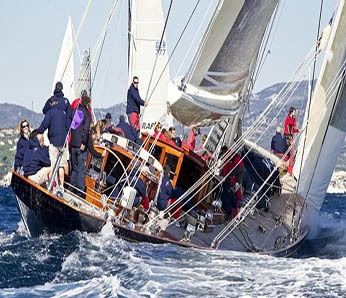 Les Voiles de Saint-Tropez is the traditional Club 55 Cup, a match race this year between Mariquita and Altair with a start at noon. Following that is the Centenary Trophy for yachts over 100 years old. Finally are the other Challenge Day match races set up between yachts, the list to be finalised tomorrow. Racing continues for both Traditional and Modern classes. First warning signal is 1100 for the Moderns, 1200 for Traditional.